Independent (“indie”) authors, as defined by the Alliance of Independent Authors, are writers who also publish. An indie takes on the role of creative director, not just for their books but also for their writing career. By any of these measures, WB Yeats was an indie author. All of these have a crucified rose on the cover, the “rosy cross” of Rosicrucianism, reflecting the extensive rose symbolism in the poetry. Later, he helped his sister found Dun Emer press, later Cuala, and worked as its commissioning editor, producing books by Lady Gregory, Padraig Colum, John Synge and Oliver St John Gogarty as well as his own work. He lamented the necessity of finding books “to feed my sister’s hungry press”, though it was his sisters’ livelihood and a well-run outlet for his own work, which gave him a great deal of creative control and elegantly published the work. Even then, creative differences between him and his sister “Lolly” ran high. There was one painful moment in his publishing history where this was brought into sharp relief. 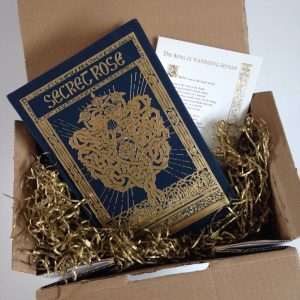 The publication of his book of short stories, The Secret Rose. When Yeats originally brought together this collection of stories together, he had what he called a “definite plan” in mind. The stories had been singly published in various outlets but all centred on a single theme: the struggle between the spiritual and material life. Taken together, they were a statement of Yeats’s artistic and spiritual credo. He carefully collected and chronologically ordered his stories, based on the time period of each story’s setting: from the birth of Christianity to the time of writing: the late 1890s. He wanted to give the reader the experience of passing through era after era, all the way to the approach of the second millennium. This time, the year 2000, would see a second coming. He would later depict it in the famous poem of that name as a rough beast, its time come round at last, slouching towards Bethlehem to be born. 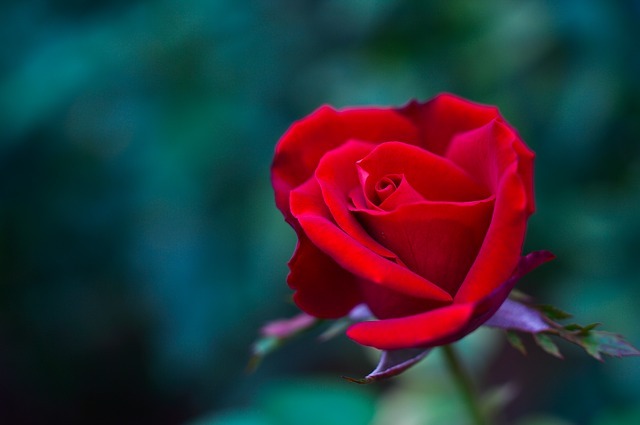 The last two stories in the Secret Rose exemplify that belief. They were to be the highlight of the book: highly mystical and a devastating reading experience for those who understood what they were saying and culminating in a short prayer, delivered both in English and in Irish, that combined the Christian orthodox and Gaelic mystical beliefs that struggled against each other, often viciously, in the preceding stories. In Yeats’s careful calibration, this integration of pagan and Christian was the point towards which the book was aimed. Alas, his publisher, Laurence Bullen, had other ideas. He worried about alienating their largely Christian readership with these stories where Yeats’s strange beliefs are made obvious. He made the removal of these two final stories a condition of the book’s publication, thereby breaking the chronological and thematic structure the writer had so carefully constructed. eviscerating the meaning of his book. We don’t have any record of how Yeats felt about this but we can imagine how devastating it must have been. That it stayed with him, and he needed to republish them years later with the two missing stories reinstated (1905 through Irish publisher HM Maunsel, with illustrations by his brother Jack B Yeats) is testament to how difficult it must have been. I sympathise, having also experienced publishing pain for different reasons. Being able to go indie, and take my publishing rights back from Penguin, and release my books with the original titles and vision I had for them, was thrilling for me. So when it came to doing a project to celebrate Yeats 150th anniversary, I put together a special edition two-in-one book that put all the stories back together in one volume, as Yeats originally intended. 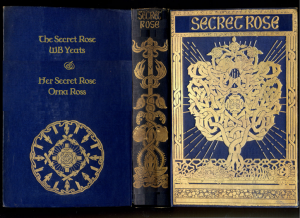 And brought this, Yeats’s first book of short stories, The Secret Rose, together with my novel, Her Secret Rose (similarity of title fully intended). My novel is about his life, and especially his relationship with his muse, Maud Gonne, while he was writing these very stories. For me, this was the most fitting way to celebrate this great poet: a commemorative book that would reinstate his original vision, when he was still the controlling and confused young genius depicted in my novel, before his publisher dealt his book a death blow. 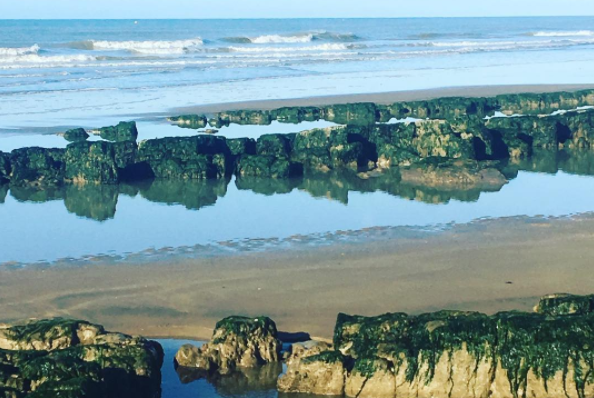 A celebration of the joy of being an indie author. The last copies of this special edition are now available as a gift book, signed and packed and dispatched with love to you, or a person of your choice.